We are always referring to Luke. He has contributed to our blog by taking pictures and teaching us more than a few cooking techniques through his online cooking classes. For the first year of our blog, our family all worked together in our restaurant in Southwest Minnesota. Now we have scattered far and wide but are still connected through the love of real food. Luke currently lives in Los Angeles working on a variety of digital media productions and enjoying the bounty of Southern California. 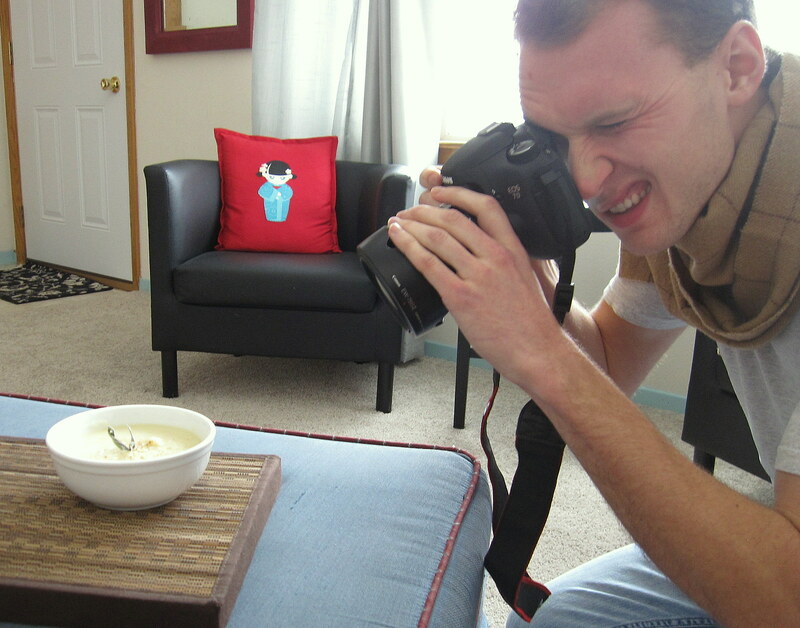 Here is a behind the scenes picture taken when Francine made Beige and Sage Soup.